Award season is here and after last Sunday’s Golden Globes and this week’s Oscar nominations, a lot of the articles going around have to do with the severe lack of diversity in Hollywood. Here are just a few (from before Oscar noms were announced — they didn’t change the conversation much anyway) articles on the diversity deficit. ♠ This USA Today article talks a lot about the lack of diversity in Into the Woods and other fictional pieces, but also delves into the excuses made when diverse actors aren’t considered for roles and how even with a PoC director on a film or showrunner on a TV show, it’s still hard to achieve the diversity needed to match the actual demographics of this country. ♠ Here’s an interview with Selma cinematographer Bradford Young in the Huffington Post on how the lack of diversity in the industry spreads beyond even the top roles we normally think about, the above the line players (actors, producers, directors, etc). Here he points out that the lack of diversity exists below the line too — he’s speaking primarily as a cinematographer, but it counts for editing and sound design and costumes and all the rest of the crew. Most of the Selma crew was not people of color. Hollywood sets and Hollywood Academy voters, neither represent the diversity of America. 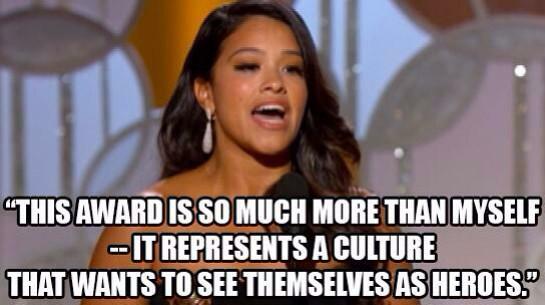 ♠But it’s not all bleak, the Golden Globes honored my most recent fave Gina Rodriguez with a best actress in a comedy win — I literally screamed when they said her name. Her speech was amazing (see top photo and the one below for quotes). 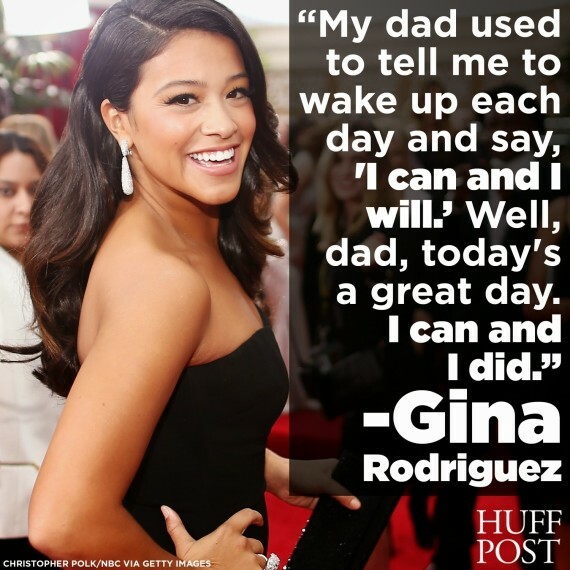 Gina is full of inspiring quotes! Click the photo for the full video. 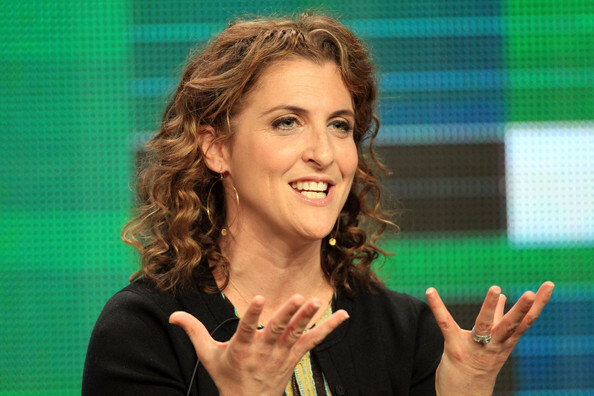 If only other people in power were more like those at CBS/CW and Jane showrunner Jennie Urman who took a chance on Jane. See what it gets you? A new hit show and award nominations! 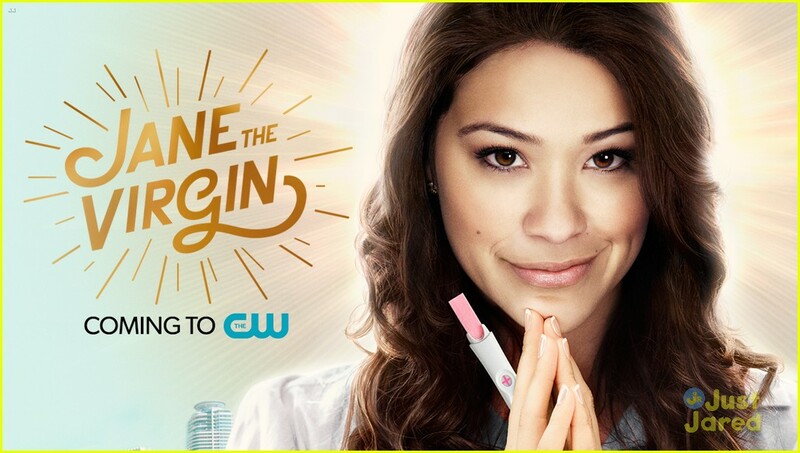 The CW is on the map now, all because they went with a person of color. Others networks could benefit from the same choice. ♠ Shameless self promotion of the week: After the Globes, I felt my post on New Emmy Categories was especially relevant. Let’s be honest, there were some weird category combinations — shows like Jane the Virgin, Orange is the New Black, and Transparent all in the comedy category? Jane is pretty funny, OITNB has some humor, but I’ve never, ever gotten the impression that Transparent was a comedy/musical. (Chelsea Peretti tweeted something about how even comedy and musical aren’t even similar — though it was in true Chelsea Peretti fashion) Ads always lean towards serious. And these shows submit for comedy categories because the drama categories are over-saturated and straight comedies have no room! All of this would be resolved with a Dramedy category. More shows get more recognition. No? We don’t want that? ♠ I love this article on Hitfix on how it’s a Golden Era for geeky TV shows because I watch a lot of these shows. As I explained last week when I talked about the “mid-reputable” TV shows article, a lot of the shows I watch tend to be sci-fi/fantasy/mystery (most of whom are never Emmy/Golden Globe contenders), so it’s great that there are more and more “mid-reputable” shows that happen to be SFF/mystery on network television. If I have to deal with a continuing lack of diversity, at least part of my geek soul is being fulfilled. ♠ In that same vein, here’s an article in Ad Week about The Flash and the other DC Comics shows on The CW (and mentions of Supergirl coming to CBS) and the way they are bringing life to television. The article goes through a bit of Marvel vs DC in terms of their known strengths: Marvel excels at movies, while DC excels at TV. This, to me, has always been true. I don’t know a lot about the comics themselves, but each creator has shown their live-action/animated strengths known since the 90s. Marvel had massive success with the Blade movies, the Spiderman movies, even the X-Men movies even before the current MCU revitalized the superhero blockbuster. In the TV-verse, DC was always better: besides the X-Men cartoon series, Marvel didn’t really have any standout cartoons in the 90s; compare to the different Batman and the Justice League cartoons and their incarnations. In live-action, I was always partial to Lois and Clark, the New Adventures of Superman, whose 90s cheese was absolutely perfect the era. And of course there was Smallville. It’s great that each company, Marvel and DC, are succeeding somewhere specifically. It just means everyone has somewhere to go to get their superhero fix. And for a random take away from that same article: “Under Time Warner, DC is tied to a broadcaster (the CW), cable networks (Adult Swim, Cartoon, TBS, TNT) and, of course, the movie studio.” Just a random fact for when thinking of your favorite DC comics and what networks you could match them with (don’t forget CBS, as they own The CW). Remember, of course, that Marvel is owned by Disney, so when mentally pitching Marvel TV shows, stick to Disney owned nets (though now there’s Netflix getting in on the Marvel game). ♠ Finally, how do I combine the two main themes above, diversity and geekdom? Easy, with this article by Daniel Jose Older in The Guardian on the lack of people of color in fantasy fiction. “And while “urban” has become publishing industry code for books by and for black people, throw the word fantasy on the end and suddenly the characters and authors are very white.” The work of achieving diversity is still being labored at in all media. Oof, these Clicks are long. Should they be shorter? Check out the Post’s article on the PoC led dramas coming this fall. And a few are led by women! Numbers are getting better, but no where near where they need to be. The link and a couple of quotes below. Hollywood definitely follows the money. Hopefully these new shows prove to be great television as well. The problem we’ve faced in the past has not always been a lack of content (well, yes, this is the problem, but) sometimes the content put out there isn’t good. There are a lot of times people of color will watch a show featuring someone of their background and that will boost ratings, but ratings will drop off if they don’t consider the show good. It’s not just about representation in numbers, but representation in quality and content. Don’t just give us a show with a black person and say it’s diversity, the content has to be good as well. More and more producers are realizing this, but things still aren’t where they need to be. The Emmy’s certainly showed that with the small amount of PoC nominees and smaller winners (most weren’t even televised). Hopefully, with this new crop of PoC led shows, next year’s Emmy’s will feature more PoC nominees and winners (now that Breaking Bad is finally out of the race; and maybe Emmy voters will finally be over Modern Family). via Minority actors land the lead roles in fall’s diverse TV lineup | New York Post. Shonda Rhimes: The Most Powerful Woman in Television?